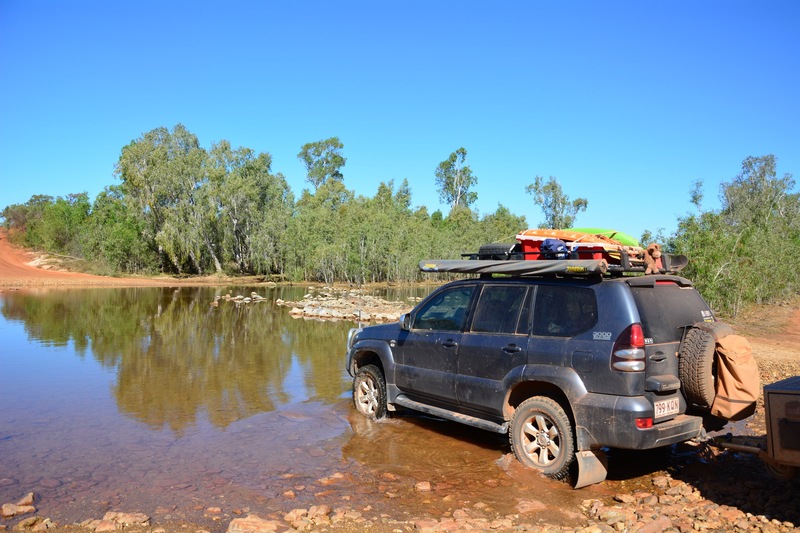 After dragging ourselves reluctantly away from the Borroloola Rodeo at just after lunch time, we headed off along the Savannah Way towards Burketown and back into Queensland territory again. 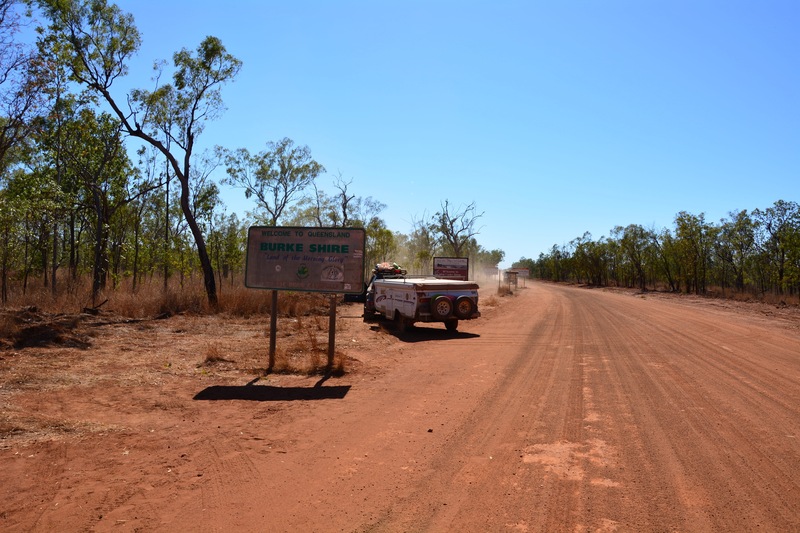 We aired down (dropped the pressure in our tyres to 28 PSI) just after we left the bitumen out of Borroloola and lucky we did as this stretch of the Savannah Way was the roughest patch of road we encountered on the whole trip! 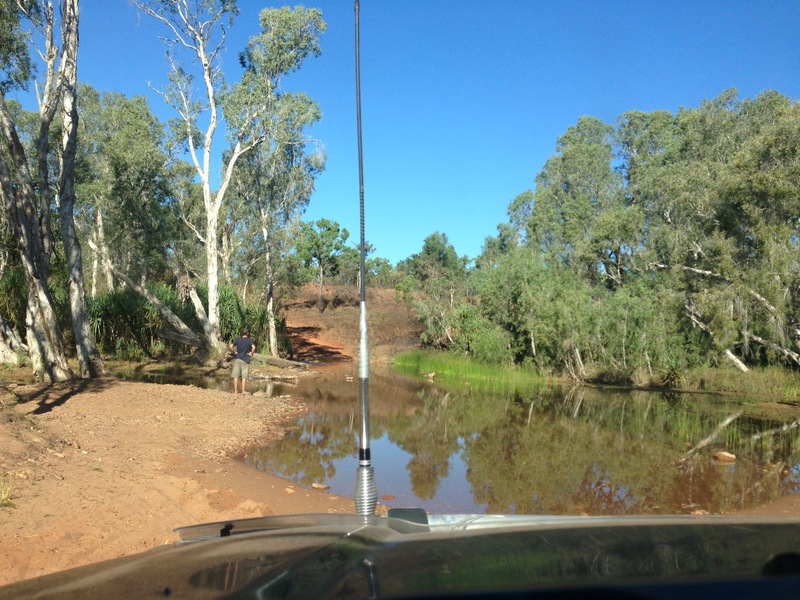 It was quite narrow, very rocky and dusty, quite corrugated in sections and had lots of creek crossings! It made for a really interesting/fun drive but did rattle the car and camper around a lot which meant it was quite slow going for us. Matt checking out the depth and rocks on another Savannah Way creek crossing. 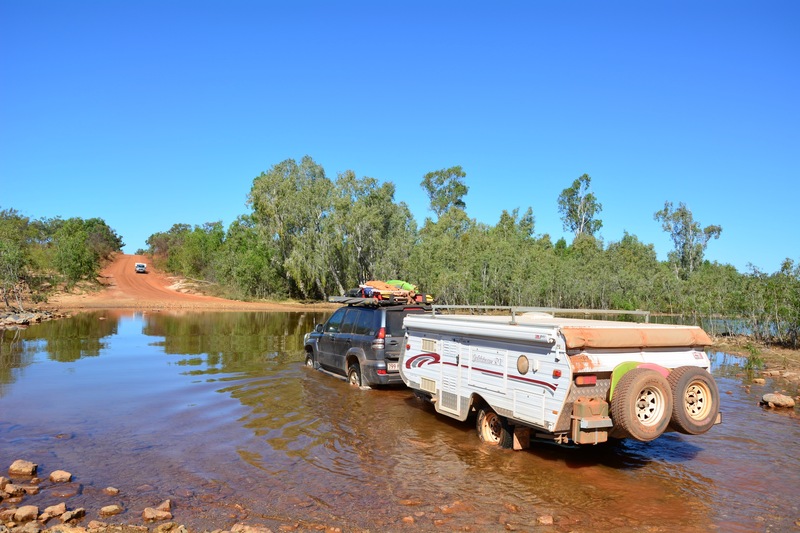 We saw only two other vehicles on the Savannah Way for the several hundred kilometres we travelled. We loved it! It felt like a real adventure! 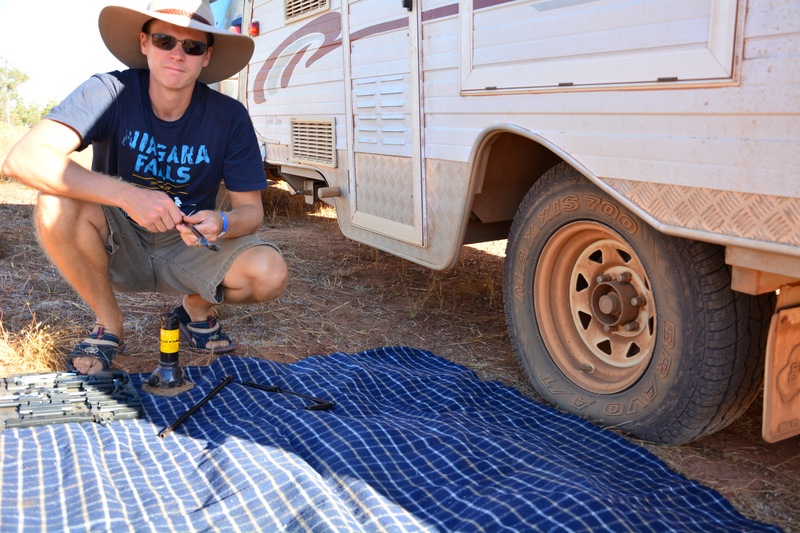 We did, however, blow another tyre on the camper – much to Matt’s disgust!! Can you tell that Matt is getting a little sick of changing flat tyres?! 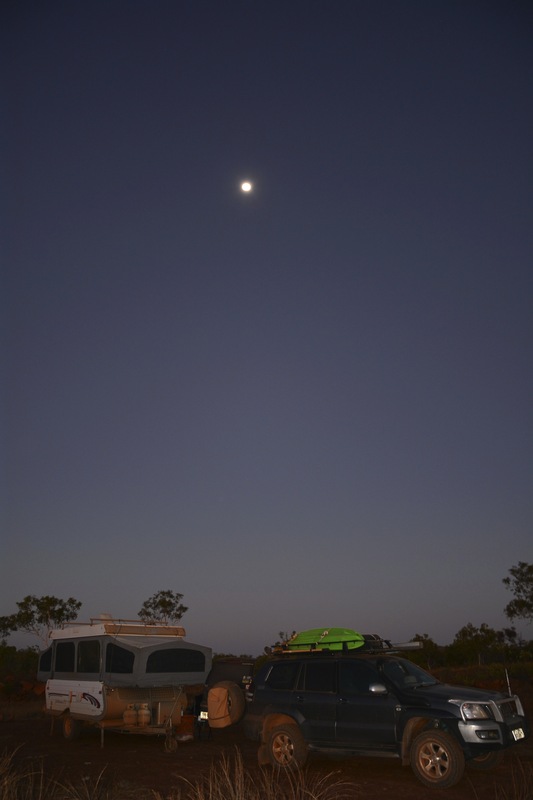 As we were late getting on the road we pulled up just before dark after only travelling about 100km’s that day, in a gravel pit on the side of the road. It was the best free camp of the whole trip! We were well back off the road with plenty of room, heaps of firewood to scavenge and not another person for miles, and miles and miles! 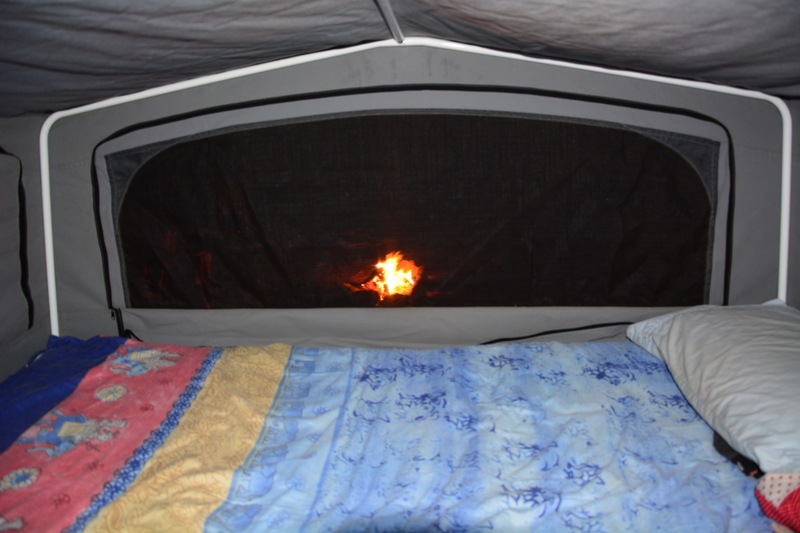 We had a great campfire dinner that night and even dragged a mattress out to lie by the fire under the stars – it was beautiful and oh so quiet! 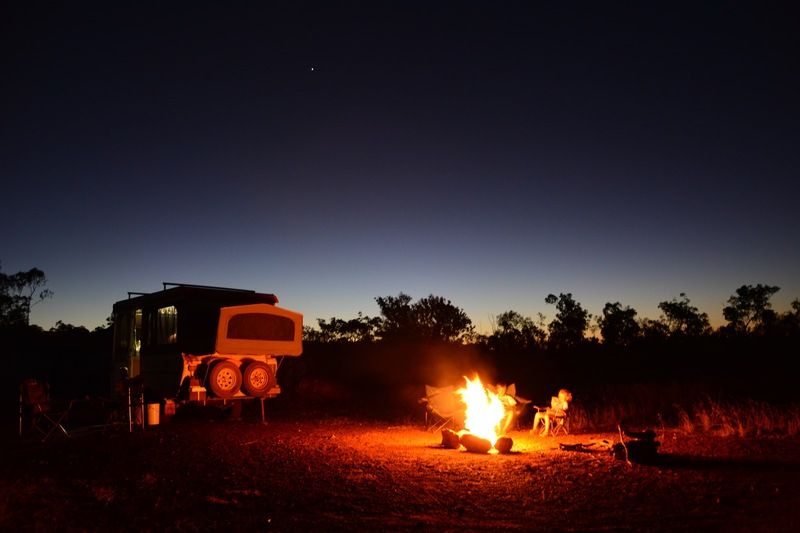 The best roadside free camp of the whole trip! Last campfire of the trip! Pretty good view out the bedroom window that night! The next morning we were up and away pretty early and it didn’t take long before we were crossing the border back in to Queensland – what a bummer!! And we’re back in Queensland! Only two blog posts left to finish off our trip, which means it will be all over by the end of this week!! Noooooooooo! It’s posts like this that make me wish we were set up for the off-road, which we aren’t. I think that may be a little disappointing towards the end. The savannah way looks dreamy! It was great Heike but very rough! We loved it as a bit of peace & quiet of ‘just us’. 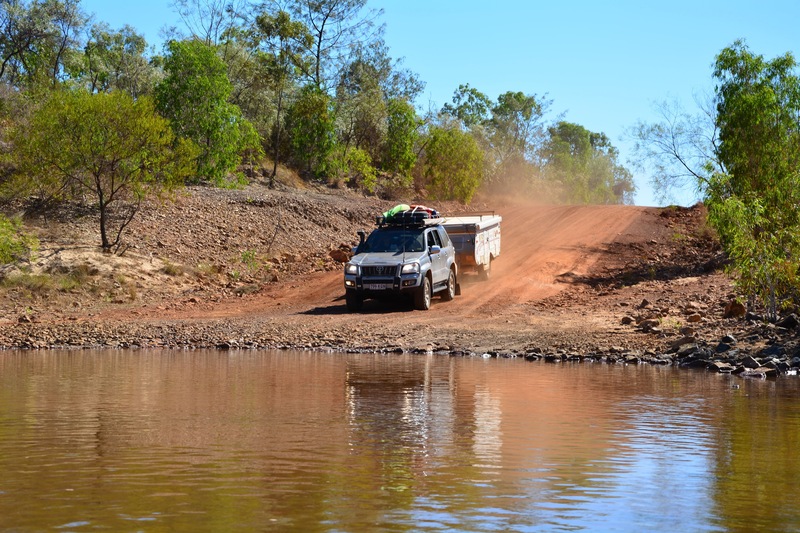 We are heading to the Savannah Way after we get to Cape York from Wagga Wagga (our next intended destination). Thanks for the reminder to drop tyre pressure in the Way. Buthten, maynbe we will remember bynthen given Cape York!! I will have to read your blog backwards. But may be you could keep on blogging about the fun (or not??!!) of getting back into non-travelling life? 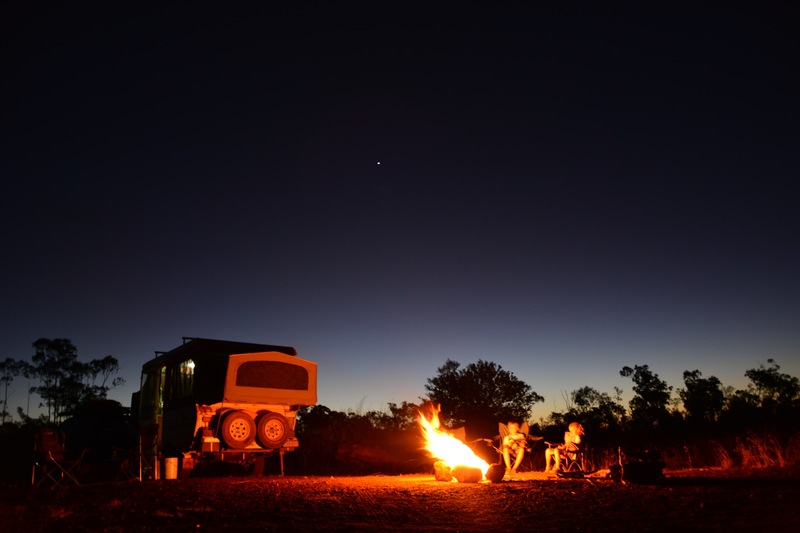 Sounds like you guys had a fantastic trip across the Savannah way. We can’t wait to do this trip.